The Web API framework will select JsonMediaTypeFormatter as the media type formatter for the response of this request. In turn JsonMediaTypeFormatter is able to take advantage of the backing library JSON.NET and returns the JSON serialization result in the right character set. As stated in the link above, Accept-Language is not yet automatically supported in the framework. Web API provides several nice extension points to solve such a problem. If we consider the importance of current thread’s Culture — when we choose to change the current thread’s culture, all subsequent calls to format dates, numbers, currencies and retrieving resources will return different results — I would like changing current thread’s culture to be as early as possible. The chart shows very clearly that the earliest extension point to an incoming request is the global message handler queue. 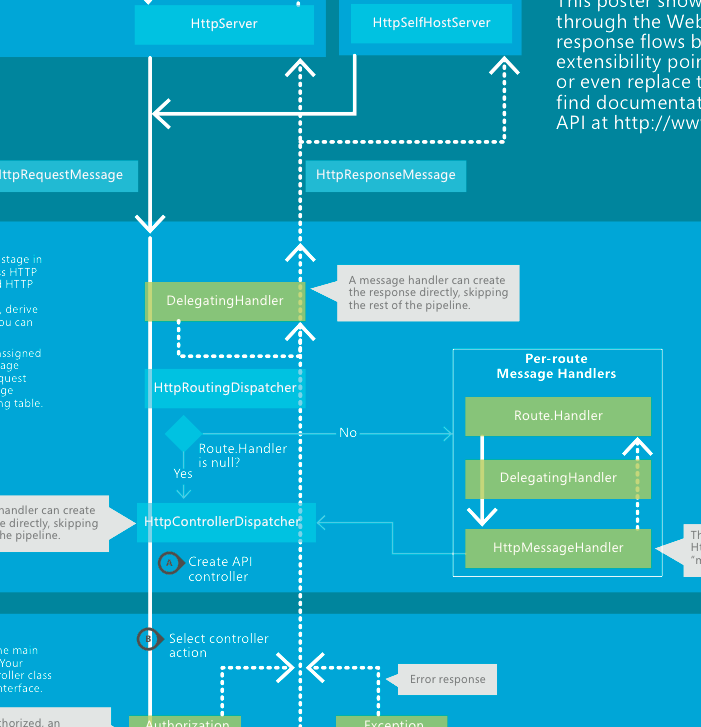 We can certainly implement a custom message handler, insert it into this queue and ask Web API to use this custom message handler to process the HTTP header first. // then check the Accept-Language header. // sort the languages with quality so we can check them in order. As stated in the HTTP protocol, Accept-Language uses quality values to note the request’s preferences of languages. The first part of code above prioritizes languages based upon quality. The second part finds an available language. The third part sets the thread culture. // insert the message handler into the pipeline, and make sure it is the first one. This should be implemented in your WebApiConfig.Register() method, and get called when the Web API application starts.